There are congressional and FBI inquiries into whether Russia meddled into the 2016 election, either through cyber efforts or dealings with people working on behalf of Donald Trump's campaign. Most recently, reports have suggested the president could be investigated for obstruction of justice. Even U.S. President Donald Trump has admitted that it's a "cloud" over his presidency. 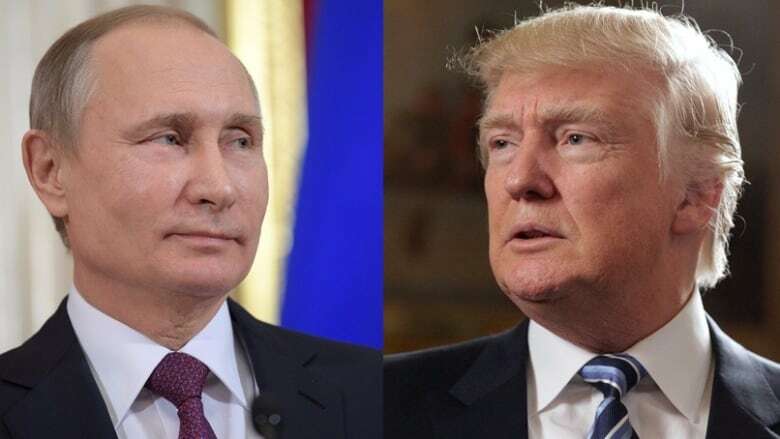 There are currently congressional and FBI inquiries into whether Russia meddled into the 2016 presidential election, either through cyber efforts or dealings with people working on behalf of Trump's presidential campaign. They threaten to distract a distractible president from his agenda, but a word of caution for his harshest critics: Even if Trump is found to have obstructed justice, a sitting president can't be indicted. Any discussion of impeachment is a political calculation that would require House Republicans to oppose the president, and it's a potentially lengthy process that also requires Senate approval. Here's a timeline of the allegations and investigations involving Russia and the U.S. election. July 22, 2016: More than 19,000 emails from Democratic Party officials are leaked and posted on the document disclosure site WikiLeaks ahead of the Democratic National Convention. The FBI is investigating. July 27, 2016:Republican presidential candidate Trump calls on Russia to seek out missing emails from Democratic rival Hillary Clinton's private email server. "Russia, if you're listening, I hope you're able to find the 30,000 emails that are missing," Trump says. 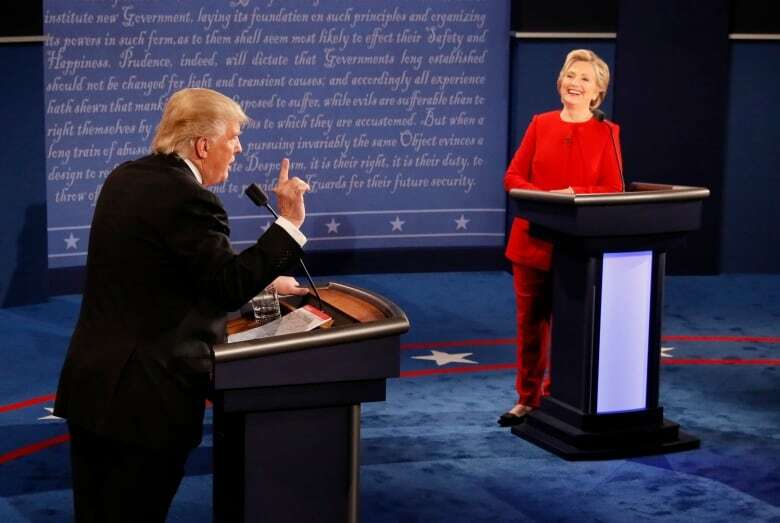 Sept. 26, 2016: In the first presidential debate with Clinton, Trump casts doubt on who conducted the email hack. "I mean, it could be Russia, but it could also be China. It could also be lots of other people. It also could be somebody sitting on their bed that weighs 400 pounds, OK?" Oct. 7, 2016: The Department of Homeland Security and the Office of the Director of National Intelligence on Election Security release a joint statement saying they believe Russia directed the email hack. Dec. 11, 2016: Trump denies suggestions that Russia helped him win the election. 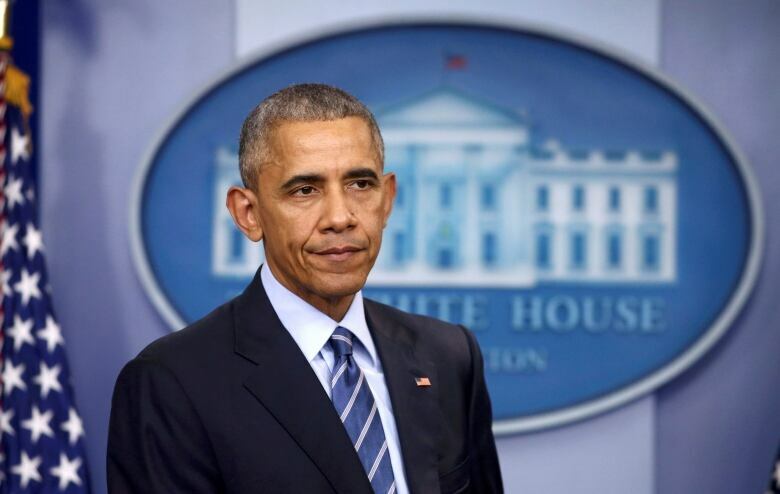 U.S. President Barack Obama orders a review of the election hacking. Dec. 29, 2016: Washington announces sanctions on Russia and expels 35 diplomats after U.S. intelligence agencies release a report about the hacking into the DNC computer network. Jan. 6, 2017: The CIA, the FBI and the National Security Agency co-sign a report that says Russian President Vladimir Putin tried to discredit Clinton in a bid to help Trump get elected. Jan. 11, 2017: Trump is questioned at a press conference about a secret intelligence file that allegedly contains compromising personal and financial information related to Russia that could leave him vulnerable to blackmail. Trump decries it as "fake news." Jan. 27, 2017: Acting Attorney General Sally Yates — later fired by Trump — warns the White House that Flynn had been misleading about his dealings with Kislyak and could be blackmailed, according to her May 8 testimony. That night, Trump tells his FBI director that he "expects loyalty," James Comey testifies in June. Feb. 13, 2017: Michael Flynn, Trump's national security adviser, resigns, amid allegations that he made improper contact with Russia and misled Vice-President Mike Pence about the contacts. Flynn acknowledged speaking with Sergei Kislyak, Russian ambassador to the U.S., but denied discussing the sanction issue. Feb. 14, 2017: "I hope you can see your way clear to letting this go, letting this Flynn thing," Trump tells Comey, referring to the FBI investigation. That's according to a May 16 story in the New York Times and Comey testimony on June 8. March 1, 2017: The Washington Post alleges U.S. Attorney General Jeff Sessions had two conversations with Kislyak in 2016. Sessions testified during his confirmation hearings that he hadn't spoken with Russia during the campaign, but announces March 2 he will recuse himself from any investigations into interference with the election. He says the Russia contacts were part of his role on a senate committee, not as Trump surrogate. 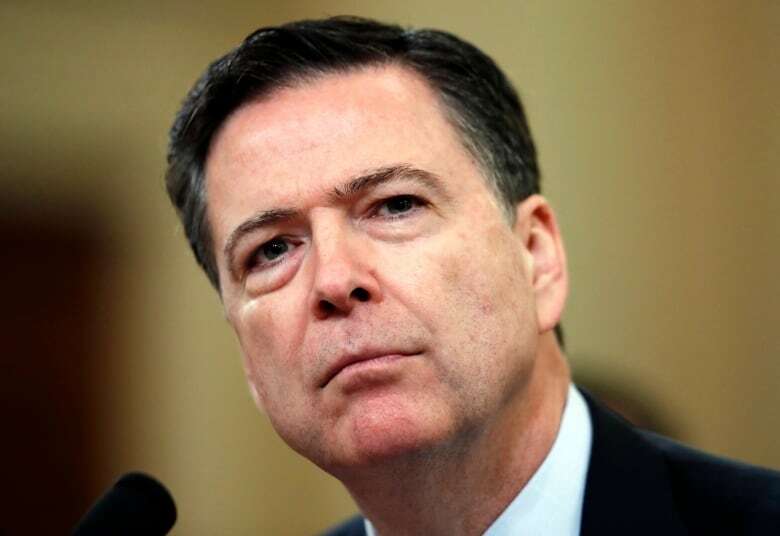 March 20, 2017:Comey confirms publicly at a House committee hearing that associates of Trump have been investigated by the FBI for possible links with Russia as part of the broader probe into interference in the election. March 30, 2017: The Wall Street Journal reports that Flynn is seeking immunity from prosecution before giving any testimony to FBI or congressional probes. 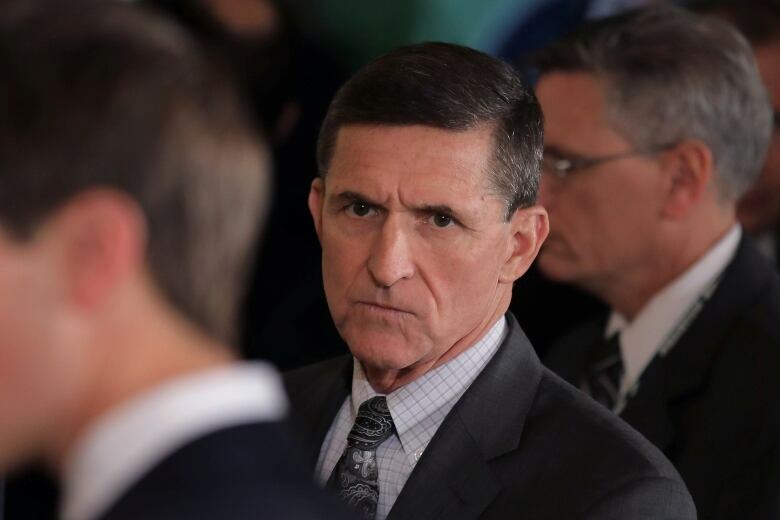 "Gen. Flynn certainly has a story to tell, and he very much wants to tell it, should the circumstances permit," Flynn's attorney, Robert Kelner, tells the paper. 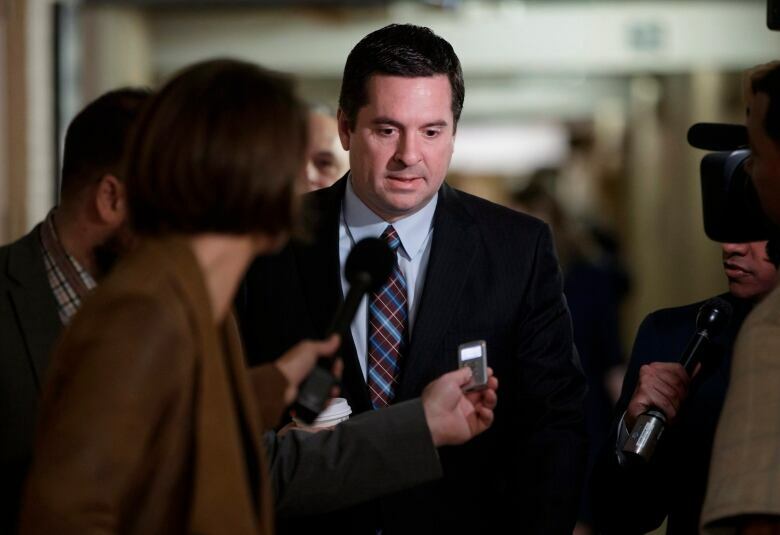 April 6, 2017: Republican congressman Devin Nunes announces he's stepping down from leading the House intelligence investigation into Russian interference. This comes as the House Ethics Committee says it's investigating whether Nunes improperly disclosed classified information to the White house. May 3, 2017: Comey defends the seemingly different approaches into investigations involving the Clinton email server and Trump contacts with Russia in Senate committee testimony. The former involved a contentious, late-campaign public statement, he says, the latter did not. "It makes me mildly nauseous to think that we might have had some impact on the election," he says. "But honestly, it wouldn't change the decision." May 9, 2017:Trump fires Comey by letter, citing the handling of the Clinton email investigation, reasons that many observers doubt. Also provoking skepticism was Trump's contention in the official letter that Comey had assured him "on three separate occasions" that he wasn't personally being investigated. May 11, 2017: The president undermines the suggestion Comey was fired because of the Clinton file in an NBC News interview. "In fact, when I decided to just do it [fire Comey], I said to myself, I said, you know this Russia thing with Trump and Russia is a made-up story, it's an excuse by the Democrats for having lost an election they should have won," he says. May 12, 2017: Trump rocks D.C. with the following tweet: "James Comey better hope that there are no 'tapes' of our conversations before he starts leaking to the press!" The claim evokes memories of the Watergate scandal. Trump will wait six weeks before claiming in a tweet he "did not make," and does not possess, any recordings of conversations with Comey. May 17, 2017: If Trump thought he could take the heat off by firing Comey, he is mistaken. Rod Rosenstein, deputy attorney-general, announces that former FBI director Robert Mueller will act as special counsel to investigate potential Russian interference. Mueller can technically be fired by the president but his brief is open-ended and includes subpoena power, and the ability to recommend charges. Trump says he's the victim of a "witch hunt." May 22, 2017: John Brennan, CIA director under Obama, tells the House Intelligence Committee that Russia may have successfully tried to recruit Americans to influence the election who "wittingly or unwittingly" helped in that cause. Asked whether there was collusion between Trump surrogates and Russia, Brennan responds: "I don't know." 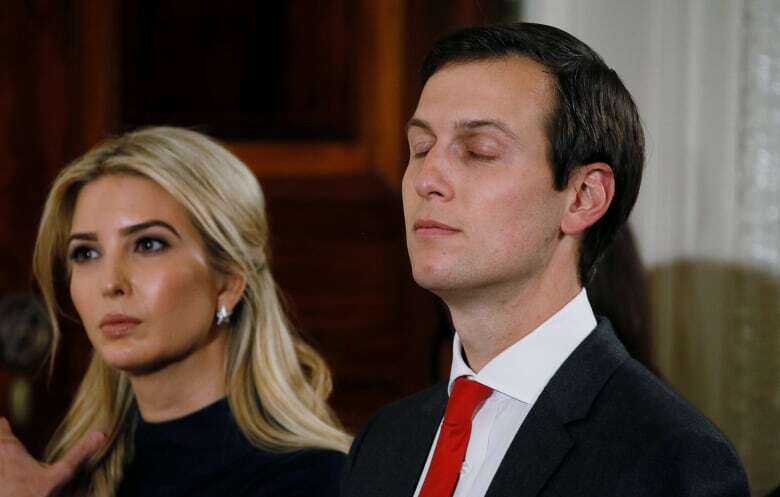 May 26, 2017:Reports emerge that Jared Kushner, then a private citizen and husband of Trump's daughter Ivanka, suggested to Kisylak in December using Russian diplomatic facilities and equipment for back-channel communications between the two sides. While back channels have historically existed, the details sound strange to historians and former officials. June 2, 2017: Putin once again mocks the U.S. reporting. He characterizes the media coverage on Kislyak's dealings as "catastrophic nonsense," as it's Kislyak's duty to maintain contacts with various people in Washington. Putin says any disruptions to the U.S. election in cyberspace were not done "at the state level." June 8, 2017: Comey in testimony confirms Trump's contention that when the FBI director was fired, the president wasn't under criminal investigation. Republicans love that, and blast Comey for admitting he leaked a May 16 New York Times story through a friend. However, Comey gives a damning assertion that he rushed to take notes of his meetings with Trump because he worried the president would lie about them. Comey testifies he never had such worries after meetings with Obama and George W. Bush. June 13, 2017: Sessions calls suggestions he colluded with the Russians are a "detestable and appalling lie," but gives critics ammunition due to his foggy memory about meetings with Kislyak, as well as his refusal to detail conversations with Trump. June 14, 2017: The Washington Post reports that Mueller is investigating Trump for possible obstruction of justice. June 21, 2017:FBI and Homeland Security officials testify they have no doubt Russia engaged in disinformation tactics online to denigrate Clinton, and that they also detected attempts to infiltrate electronic voting systems in 21 states. They stress that they have no evidence vote tallies or results were tampered. July 7, 2017: Trump and Putin meet for the first time at the G20 summit in Germany and discuss a range of topics. Both U.S. Secretary of State Rex Tillerson and Russian Foreign Minister Sergei Lavrov say Putin once again denied Russian meddling into the previous year's election. Lavrov says that Trump accepted the denial. Tillerson noted the chemistry between the two leaders and said the U.S. isn't interested in "re-litigating things from the past." Trump demanded Russia not interfere in U.S. democracy in the future, Tillerson said. July 8, 2017: The New York Times publishes a story reporting that Donald Trump Jr. and the president's son-in-law Jared Kushner met with a Russian lawyer named Natalia Veselnitskaya shortly after Trump won the Republican nomination. 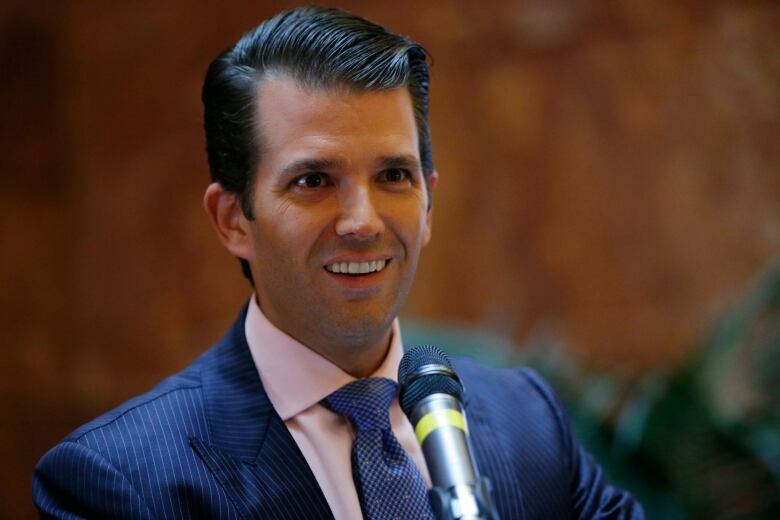 July 11, 2017: Trump Jr., after giving conflicting explanations for the meeting, releases emails that indicate they came from an intermediary promising the possibility of damaging info regarding Hillary Clinton. Trump Jr. responds "I love it," and forwards the email to Kushner and Manafort. Veselnitskaya denies that Clinton was discussed at the June 2016 meeting in an interview with NBC News. July 18, 2017: The White House confirms reports that Trump and Putin had an additional, previously undisclosed conversation during a G20 dinner organized by German Chancellor Angela Merkel for G20 leaders. The two spoke for about an hour and were accompanied by Putin's translator. Trump said they talked about adoption and called the media's fascination with the meeting "sick." July 22, 2017: U.S. House of Representatives strike a deal on a bill that slaps new sanctions on multiple countries — including Russia — and limited the president's ability to lift them. The House bill came a month after the Senate reached a similar agreement. July 24, 2017: Kushner told the Senate intelligence committee during a closed door meeting that he did not collude with Russia.